ReShape Lifesciences, Inc. is a developer of minimally invasive medical devices to treat obesity and metabolic diseases. 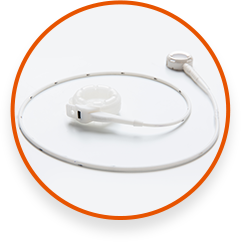 Our current portfolio includes the LAP-BAND® Adjustable Gastric Banding System and the ReShape VestTM*, an investigational device, to help treat more patients with obesity. ReShape Lifesciences™ is committed to the delivery of safe, effective, and sustainable therapies that address the growing global health crises associated with the increased prevalence of obesity and metabolic diseases, including diabetes and hypertension. We are rapidly advancing our novel technologies to broadly benefit patients, healthcare providers, and stakeholders around the world. ReShape Lifesciences Inc. announced that the Company will be holding a live-surgery surgical training for bariatric surgeons and key opinion leaders who will serve as investigators in the Company's ENDURE II trial in the European Union. The ENDURE II trial is designed to support CE Marking of the ReShape Vest. ReShape Lifesciences Inc. today announces that the United States Patent and Trademark Office ("USPTO") has issued an Issue Notification for U.S. Patent Number 10010441 entitled "Gastric Restriction Device for Treating Obesity," which covers a patent application regarding the Company's Gastric Vest System (the “ReShape Vest”).